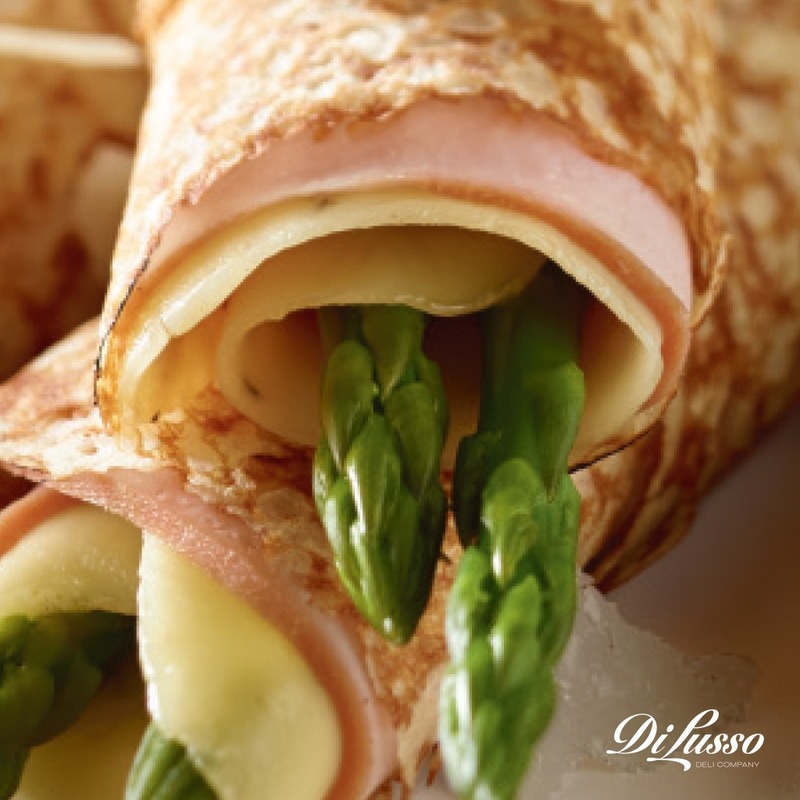 Breakfast is known for its sweet dishes, but sometimes only a savory breakfast will satisfy your taste buds. We’ve been there many times. So we turned famously sweet morning meals into cheesy, garlicky, herb-y creations you can make on busy weeknights, lazy Sundays and anytime in between. 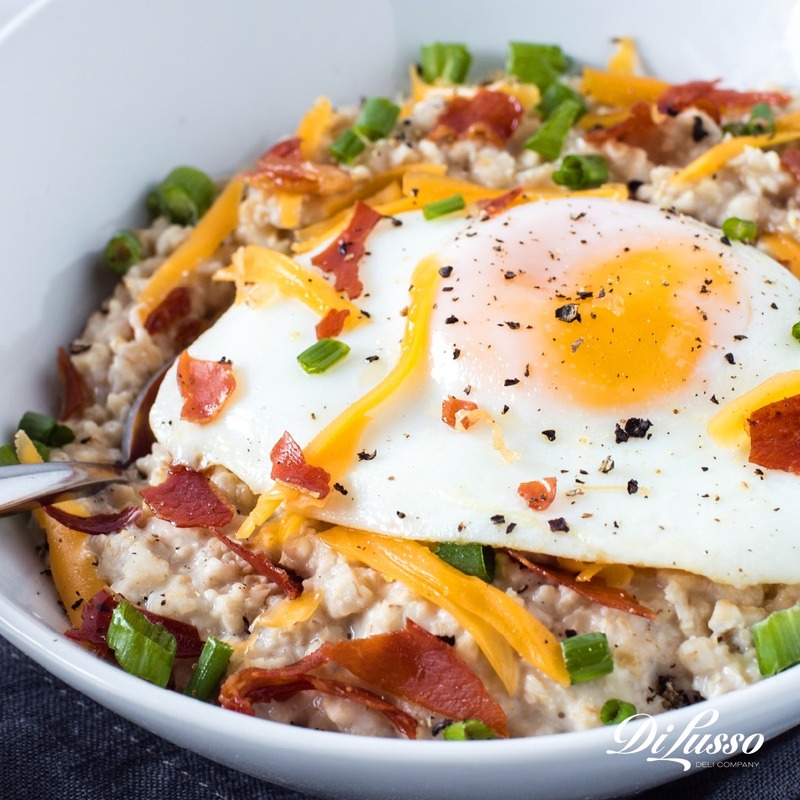 Ready in 15 minutes, this savory oatmeal recipe is prime weekday breakfast material. If you’re into meal prep, put oats and seasonings in single serve containers so all you have to do is add water or chicken stock and start cooking! And contrary to popular belief, waffles aren’t just for weekends. Because these only take 15 minutes to make, they’re prime weekday material. If you’re craving some heat, look no further. 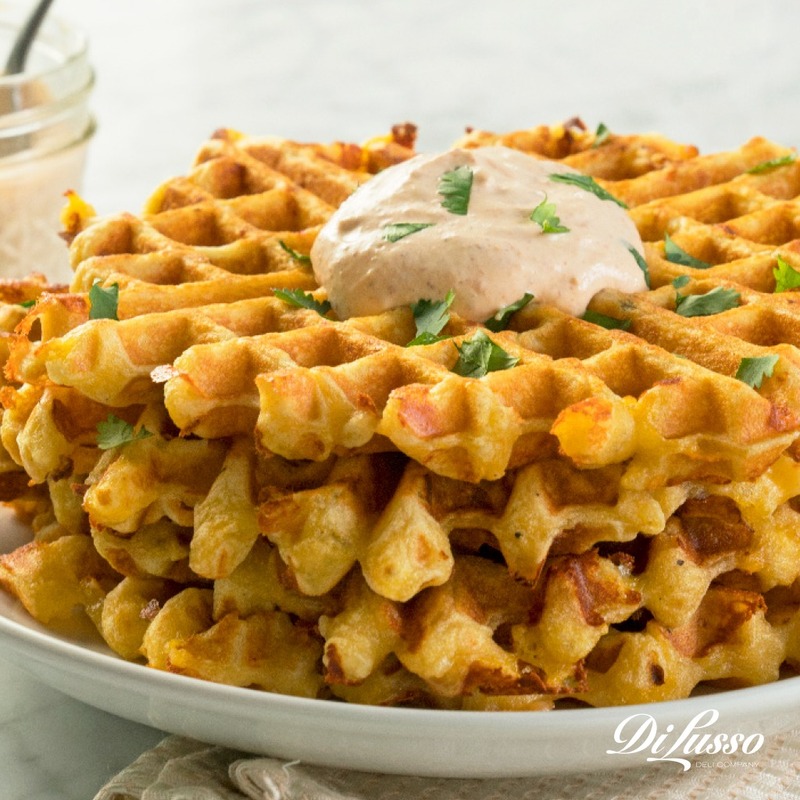 These waffles are filled with spicy habañero jack cheese, fresh jalapeños and oven roasted chicken. Then topped with chipotle mayo. On those rare occasions when you actually have time to enjoy the act of making breakfast, take this one for a spin. Making paper-thin crepes is half the fun, and way easier than you think. It’s all about the pan tilt (more about this in the recipe directions). If you really want to go all-out and channel your inner Parisian, pop a bottle of bubbly, add some crème de cassis (or raspberry liquor) and make yourself a kir royale cocktail. When it comes to make-ahead breakfast recipes, this is one of the best. Scones keep for about 5 days when stored in an airtight container in the fridge. Plus, they taste great warm or chilled. 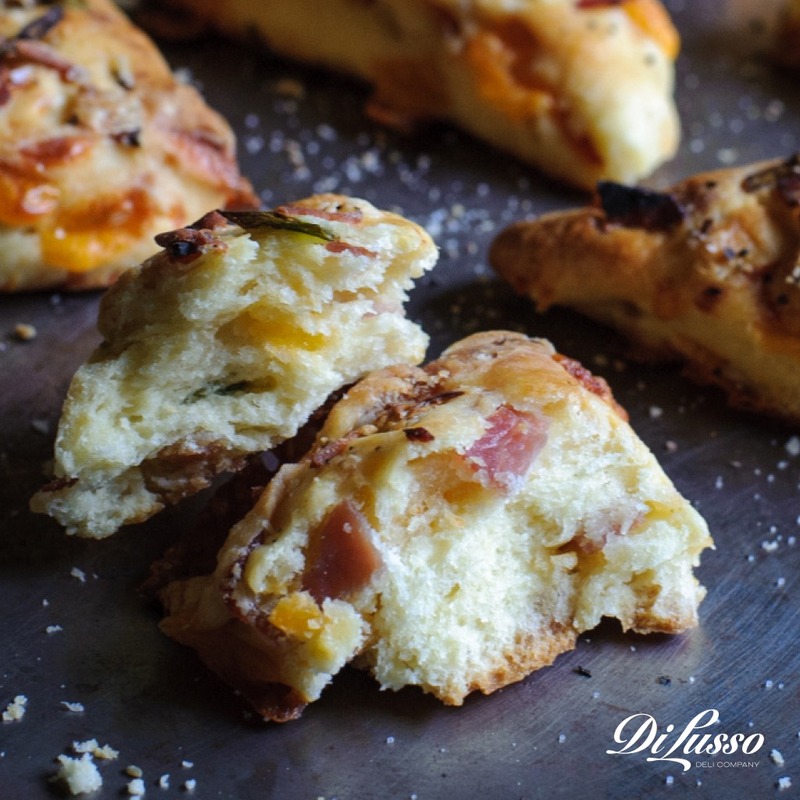 When reheating, place a small dish of water in the microwave and wrap scones in a paper towel so they soften up nicely. Voila! You just made a breakfast you can eat on the go in less than 5 minutes.